My quest to acknowledge the best releases I didn't get around to reviewing in 2017 could last for months if I really went all-out. But if I had that kind of time, I would have already reviewed all of this stuff in the first place! With that in mind, I'm trying to focus on the releases from last year that I'm most embarrassed to have missed. 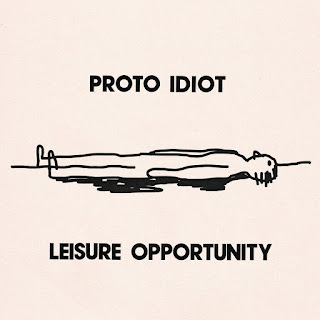 In that category is Leisure Opportunity, the latest album from Manchester, U.K.'s Proto Idiot. It was released in November on Slovenly Recordings, so I suppose this review could qualify as "almost" timely. 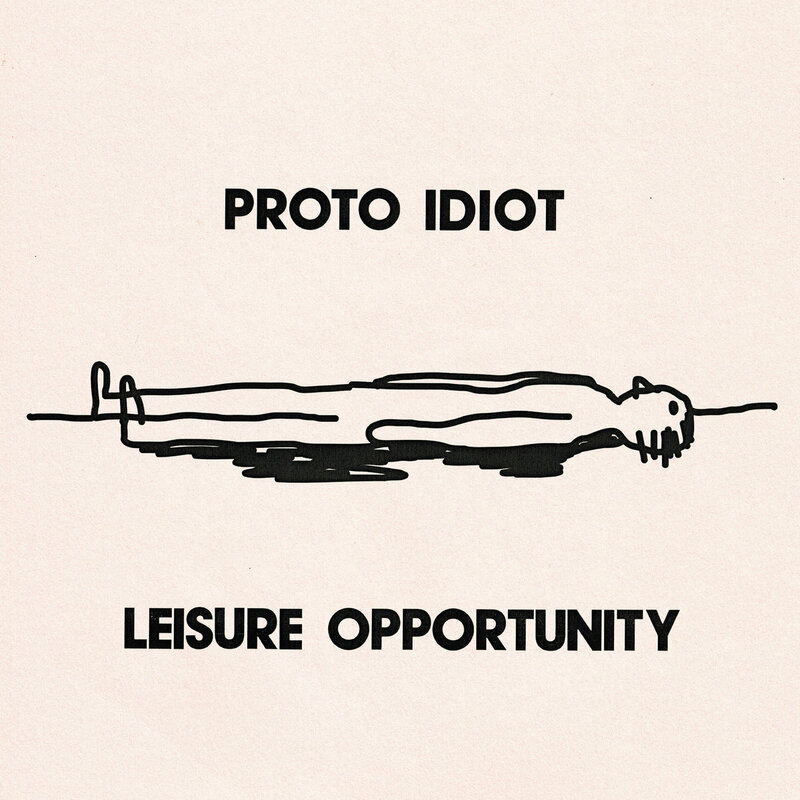 Proto Idiot features Andrew Anderson of The Hipshakes on guitar and vocals along with Callum Darley (drums) and Michael Seal (bass). Anderson's work in this band allows him to step a little outside of the garage realm and really embrace a fondness for the arty side of '77 Brit-punk and musical strangeness in general. On this album, Anderson again proves himself to be a witty lyricist and a wonderfully playful songwriter. Songs like "Better Way of Life" and "Do It the Same" hit that Wire/Buzzcocks minimalist punk sweet spot, while "What Is My Purpose?" suggests what Devo might have sounded like if they'd been English. I like that "Yes Yes Yes Yes" is super weird yet totally irresistible. And "Angry Vision" is a definite highlight, sounding like a weirdo punk re-write of Vicki Sue Robinson's disco smash "Turn The Beat Around" (yeah, really!). You may already be familiar with Freak Genes - Andrew Anderson's brilliant collaboration with Charlie Murphy. If you liked the Freak Genes record, you'll dig Leisure Opportunity as well. These "side" projects really show different dimensions of Anderson's musical talent, and that growth seems to be bleeding a little into The Hipshakes' music as well. If you like your punk music full of quirks and distinctively British humor, you're about to discover a real gem! Ruler - "Tiger" b/w "Gimme Some Noise"
The Red Cords - "Gonna Find My Baby"